Biblical counseling is based on the principles of God’s Word. Our goal in life is to honor God and glorify Him in every situation or difficulty we encounter (2 Corinthians 5:9). God’s Word provides direction and truth in our lives. This approach differs from popular counseling or secular therapy in that it is based on heavenly wisdom rather than human wisdom. As a church family, we desire to be used by God to “speak His truth in love” (Ephesians 4:15). We know that the path to maturity is often steep and rough and at times filled with pain and confusion. However, there are answers. The Bible is God’s all-sufficient guide for relational living. There is a route to life and our Lord is that way. Jesus Christ is the truth who frees us to love. He is the life who satisfies the deepest thirsts of our soul. Jesus said, “I came that they may have and enjoy life, and have it in abundance.” John 10:10b (AMP). As a ministry of First Baptist Church, our counseling services are provided to our church members and community by our pastor and trained church members (see BiblicalCounseling.com “Association of Certified Biblical Counselors”). Individual counseling regarding spiritual and personal issues. Family/parental counseling: with children under the age of thirteen, we work primarily with the parents and/or together with the parents and children. Adolescent counseling: with parental consent and involvement. Confidentiality is an important aspect of the biblical counseling relationship, and we will carefully guard the information you entrust to us. All communications between you and our Biblical Counseling Ministry offices will be held in strict confidence, unless you (or a parent in the case of a minor) give authorization to release this information. 4.) if a person persistently refuses to renounce a particular sin (habitual unrepentant rebellion against the Word of God) and it becomes necessary to seek the assistance of others in the church to encourage repentance, restoration, and reconciliation (see Matthew 18:15-20 and our Church Discipline Policy). 5.) when/if a counselor wants to consult with another counselor or a pastor to provide the best guidance and help for you. If you are not a member of our church, we will refer you to your own pastor. Our counselors strongly prefer not to disclose personal information to others, and they will make every effort to help you find ways to resolve a problem as privately as possible. Our biblical counselors work by scheduled appointments. Exceptions are made in emergencies. We need your prompt and consistent participation in your scheduled meetings. Please contact our office 24 hours in advance if you must cancel an appointment. Prior to scheduling your initial meeting, you will complete and submit a summary form (see below) that helps us determine the best counselor for you. You can expect to meet with your counselor on a weekly basis for approximately ten weeks. 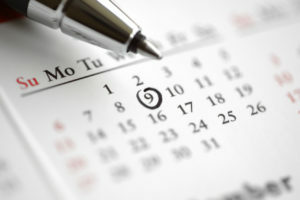 After reviewing your goals and progress, a final date or follow up plan will be determined. Relational Maturity: Loving God wholeheartedly and loving others sacrificially. Rational Maturity: Wisely living according to the truth of Christ’s Gospel of grace. Volitional Maturity: Courageously choosing to pursue God’s purposes in your life through the Spirit’s power. Emotional Maturity: Deeply and honestly experiencing life with integrity, fully open to God while managing your moods for God’s glory and with a ministry focus. Honestly and openly sharing your hurts and struggles. Prayerfully evaluating your own emotions, actions, motivations, beliefs, and relationships. Actively participating in the growth of renewed emotions, actions, convictions, and affections. Coming to each meeting prepared to review your progress throughout the last week (including the completion of personalized “homework” assignments). We believe in the authority and sufficiency of the Holy Bible, consisting of the sixty-six books of the Old and New Testaments, as originally written; that it was verbally and plenarily (fully or completely) inspired and is the product of Spirit-controlled men, and therefore is infallible and inerrant in all matters of which it speaks. We believe the Bible to be the true center of Christian unity and the supreme standard by which all human conduct, creed, and opinions shall be tried.